Welcome to the home of BIZZY people where cooking is fun, quick, easy and delicious. Over the years, my taste in food has changed, as have my recipes. This blog will chronicle the changes I continue to make, as I face challenges in healthier eating and in new methods of cooking. I am a breakfast for dinner, lunch and brunch person and would be happy, eating omelets, pancakes, French toast and other breakfast treats, three times a day. That would mean, missing out on too many other good foods, so I don't do it, but I certainly could. 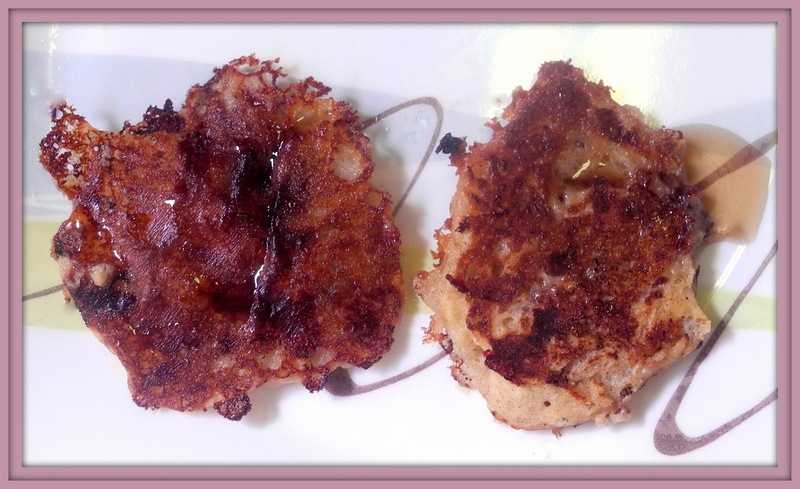 For lunch today, we had cottage cheese pancakes and I integrated black cherry jelly into the batter. That made delicious pancakes even better and we finished them, quickly with satisfaction. Pancakes are easy to make and most of my cottage cheese recipes are similar as is this one from Martha. I think, I have better recipes and have to locate them and compare. In a large bowl, stir together flour, sugar, baking powder, and baking soda. Stir in cottage cheese, milk, egg and vanilla. In a large nonstick skillet, heat 2 teaspoons oil over medium heat. Working in batches, drop cottage cheese mixture by tablespoon fulls. Cook until bottoms are set and tops have small bubbles, about 1 minute. Turn pancakes and cook until just firm in the center, 2 minutes more. Repeat, using remaining 3 teaspoons oil for the other batches. Eat and enjoy at any time. Your comments are a part of making my day bright and shiny. I value your advice, criticism and viewpoints. Another week, another vegetable for our Power Food group, a bunch of women who strive for healthy eating with the most delicious dishes. Each blog is inspiration . Each week, we choose a recipe based on the power food which comes from the book, Power Foods, 150 delicious recipes with the 38 healthiest ingredients from the editors of Whole Living magazine. Brussels sprouts like broccoli and cabbage are cruciferous. This group offers a unique composition of antioxidants that may provide several health benefits. Brussels sprouts are low in calories and offer protein, vitamins and minerals to help build a healthy human. 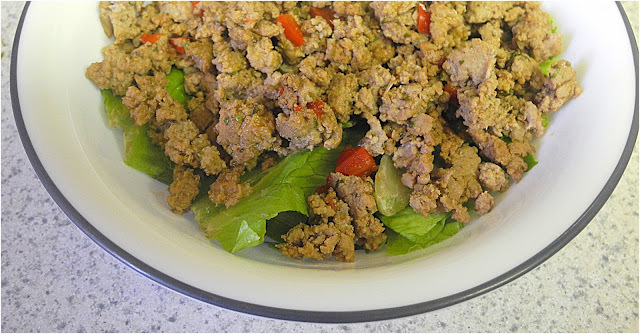 It says, "thai" so I have to like the Thai Chicken San Choy Bau that we are making this week in our Donna Hay Wednesday group. It was a bit spicy and the chopped chicken was a nice change of pace. Kayte selected this recipe from On the Shelf on page 124. I tried it with the greens and it was very good and then I put it on spaghetti and it was spectacular. My toddler granddaughter even liked it. Must have been the hot sauce. I used romaine for the greens and I subbed in red pepper and added some Sirracha to spice it up to make up for the real chilis. Do check out the other cooks' dishes at our Wednesday with Donna Hay site. Classics 1. This was my choice and for my family, it was a great choice. I made it, two weeks ago, for our Friday night Sabbath soup. 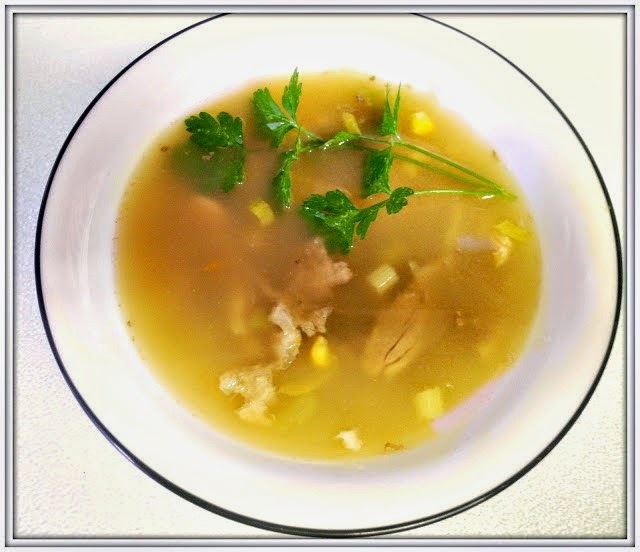 When my youngest saw the corn in it, she moaned but it surprised us all by working well with the soup. So far, I have found all Donna's recipes to be easy to make and this is no exception. I used a little soy sauce in it for a boost of flavor. We had company and it went over well with them. Another Donna Hay Success story.